Posted on March 21, 2019 at 9:49 am. Our rails-to-trails series delves into how this type of urban renewal can rejuvenate your city. First, we looked at the basics of urban renewal and how rail-trails fit in. Then, we explored how to incorporate lighting into a trail project and the considerations needed before it can happen. Here, we’re covering how to take your newly developed rail-trail plan and find funding make it happen. Rejuvenation projects can be expensive—and that high price tag can discourage decisionmakers from taking on the larger projects on the to-do list. Municipal and regional budgets are usually stretched thin, so they may not be able to cover all costs. The good news is that state and federal funding can help fill the gaps. While competition can be steep, the right planning and tools can help your project contend for those dollars. Here are a few options for securing funding for that new regional rail-trail, municipal pathway, or whatever project you’re working on this year. Get started with federal programs like the Transportation Alternatives Program (TAP). While it can be overwhelming to sift through the options available on Grants.gov, this is your best bet for a comprehensive database of all federal grant opportunities. The Grant Learning Center is also a valuable resource for anyone new to grant applications. The Transportation Alternatives Program (TAP) is a helpful federal program to explore, with over $800 million up for grabs each year, currently through 2020. Since TAP’s goal is to “expand travel choices and enhance the transportation experience by integrating modes and improving the cultural, historic, and environmental aspects of our transportation infrastructure,” it can cover a wide range of projects related to active transportation. TAP projects must meet one of the 10 TAP definitions, which include Pedestrian and Bicycle Facilities; Safe Routes for Non-Drivers; and Conversion of Abandoned Railway Corridors to Trails; as well as 7 other definitions. Meanwhile, Safe Routes to School (SRTS) programs are also eligible under the Safe Routes for Non-Drivers definition. Once a stand-alone funding pool, SRTS and two other programs were merged in 2012 to create TAP. If your trail is part of a safe route to local schools, it could be eligible for funding through this channel as well. Find your SRTS state coordinator and review guidelines on your state’s website. TAP funds are administered at the state level and project sponsors usually must cover about 20% of the project cost. Eligible entities include local governments; regional transportation authorities; transit agencies; natural resource or public land agencies; schools, school districts, and local education agencies; tribal governments; and other local or regional government entities responsible for transportation oversight. Non-profits are not eligible to apply as direct recipients of TAP funds; however, they can partner with state or local agencies if the state DOT agrees. Explore the Recreational Trails Program. The Recreational Trails Program (RTP) is a distinct source of funding but is ultimately still a part of the Transportation Alternatives funding pool. It distributes funds to states for developing and maintaining recreational trails and similar facilities. Keep in mind that a state may opt out of receiving this funding set-aside and then sub-allocate it for a different type of project, so check with your state to see how this funding is currently used. Most states do use the funding for trail projects, however, and as such, this program has helped construct more than 100 miles of trail since 1995. Activities eligible for RTP funding include construction of new trails, maintenance and restoration of existing trails, trail condition assessments, and more. In addition to covering pedestrian and bicyclist scale lighting, funding can also go toward crosswalks—both new and retrofit—so it can help with trail-highway intersection upgrades. Private organizations are eligible for funding under the RTP; however, check with state policies if you are part of such a group before applying for funding. The Rails to Trails Conservancy lists a variety of other funding resources on their website that can work for more than just rail-trail projects. Review the list here. In addition, our Carmanah Traffic division offers funding ideas for transportation projects involving crosswalk beacons, school zone beacons, and similar traffic safety products, which may also be a part of your trail project. Explore the resources here. 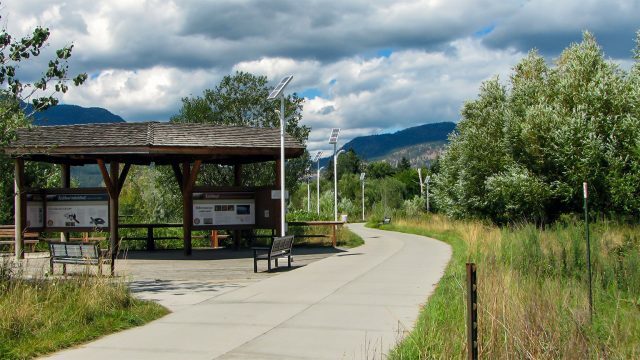 By securing funds for your rail-trail project, you can feel confident that the necessary infrastructure will be in place to help make your pathway feel safe and equitable for all trail users. 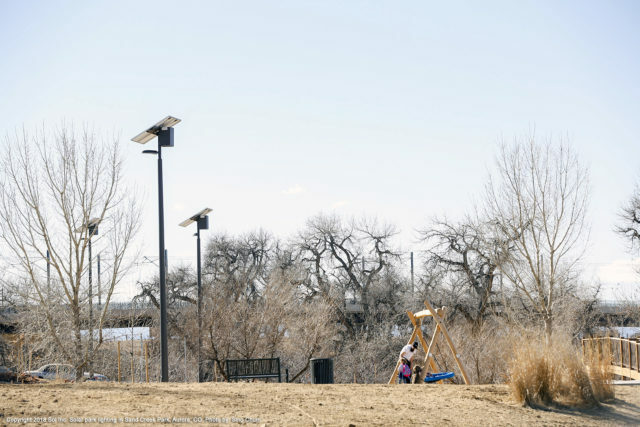 For example, park and pathway lighting is covered under the Transportation Alternatives Program, Safe Routes to School, and the Recreational Trails Program, among other funding programs. 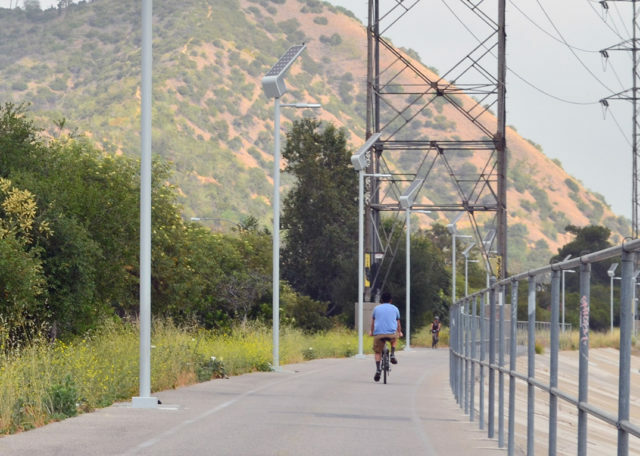 Learn how choosing solar lighting can benefit rail-trail, pathway, and park users in your community.